It’s been such an amazing journey. I have not just gained knowledge but I have experienced His love, grace and mercy in my life. He has become greater and I have become smaller. I have become dependent on Him, it’s His power not mine. I need Him all the time. It’s the opposite of the world’s mindset. He gives me the confidence and the strength to do what He’s called me to do, with His grace. He continues to unveil His love to me. It’s been an ongoing struggle to receive His love, kindness mercy and grace. He has exposed hidden roots of flesh in my heart that have brought me to repentance and godly sorrow. I have experienced such intimacy I didn’t know it existed. I now desire to spend more time with God, to depend on Him, to ask for His help more and more. I feel so unable to do what He has called me to do. I am reminded of His words “without Me You can do nothing” John 15:4-5. 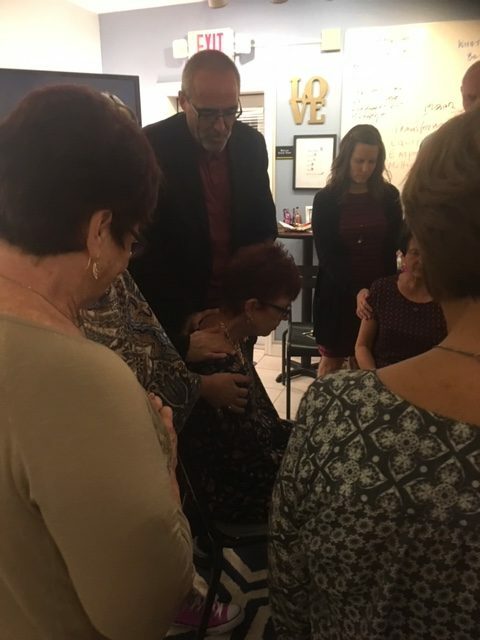 The photos attached are a just taste of the commissioning shared with husbands, ministry partners and friends who joined us to pray for the women completing their 3.5 year journey to be equipped and empowered to minister to women. 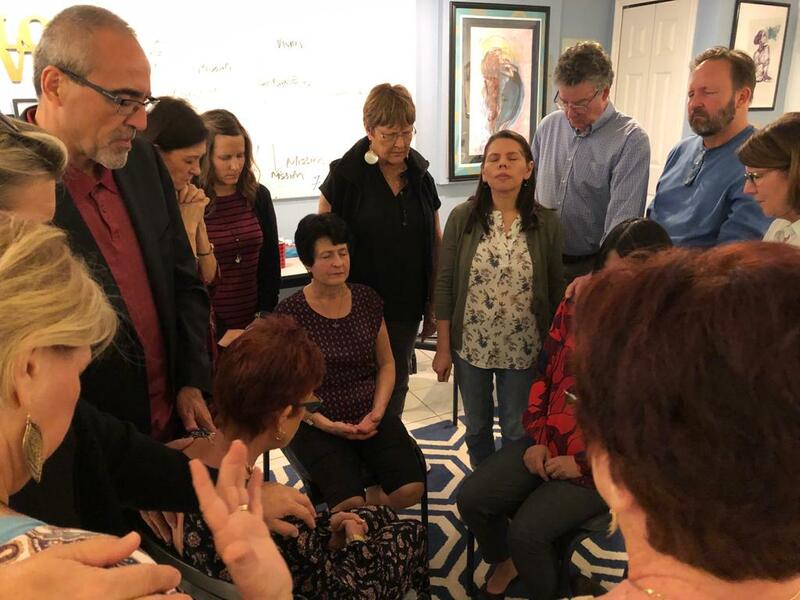 It was especially encouraging hearing husbands pray over their wives asking God to help them flourish in what He has called them to be and do, and sharing how they have witnessed the transformation God has done in their wives lives. Lisa and Shelly starting new LUV groups for women in Orlando next week. 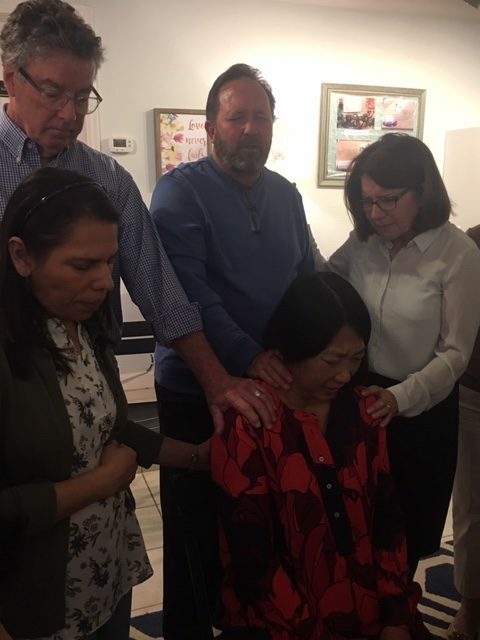 Masako discipling women in Orlando, and also called to Japan with her husband. Pray for open doors, anointing and favor as they reach this difficult mission field. Marie Carmen leading women’s conference this Fri-Sun for 100 women in the Spanish Canary Islands, in Europe. The conference in Tenerife will draw women from Gran Canaria, Tenerife, Lanzarote and Fuerteventura. Pray God’s anointing on Marie Carmen as she shares freedom and identity in Christ with women using the Butterfly Story and Magdalena Movie. Pray she will be given the words to fluently communicate in Spanish, her second language. Pray for a movement of the Spirit among the women on these Islands, that they will have a hunger to know God and to make Him known in The Canaries! One of our UK butterflies on vacation in Tenerife last year met a pastors wife, Lucia. Lucia was interested in Love UnVeiled and in reaching women. Some months later Lucia found out her husband’s church was hosting Marie Carmen’s event in Tenerife! She has now met Marie Carmen, is part of her conference, and is learning about Butterfly ministry:-)! Pray for Lucia! God has orchestrated this appointment because she is hungry to reach women in her islands! Pray for Marie Carmen starting LUV Workshop 1 in France in March for 12 women from different parts of France to be equipped to reach women in France. We have over 100 women registered! Our butterflies have been inviting colleagues, family, neighbors and women from their churches. The Lord has provided the beautiful venue in my home church, Avalon Church for this event. Pray for all logistics, catering and AV to go smoothly! The Lord placed the message Fear Not-Look Up on my heart for this event. Yesterday one woman, a believer, told me she is coming but is coming with fear. I asked if she was afraid being with other women but she admitted, “No, I’m afraid of God. I’m afraid of what He might want from me and I don’t want to deal with my pain. But I know I should be there.” This raw and honest answer is a secret fear in many women’s hearts. Pray that bondages of fear and lies will be broken as women turn their eyes to Jesus and see His love for them. Pray for God’s power and anointing on His word, the worship, the testimonies and discussions – to strengthen and encourage hearts of believers and unbelievers. Pray that women will leave with greater revelation of Jesus and hungry to know God more. Pray the unbelievers who are coming will “Look Up” to Jesus and be saved!! 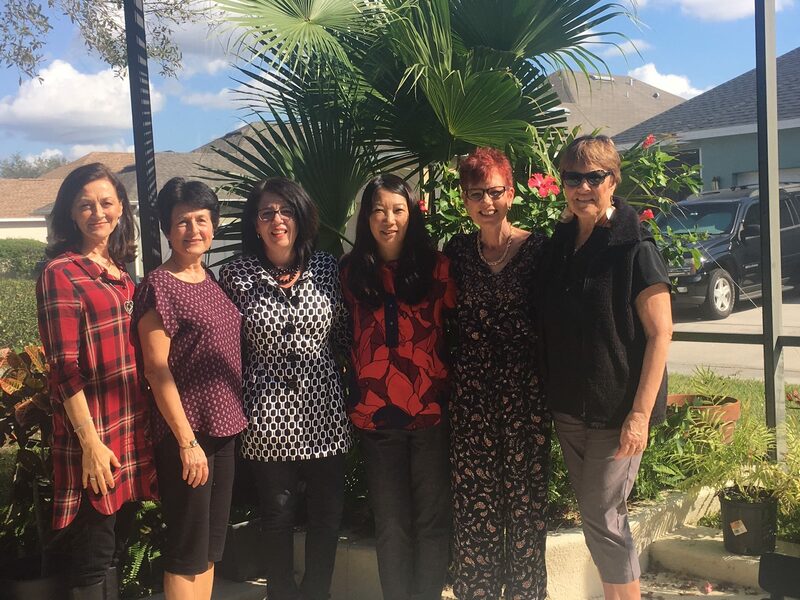 Praise for a wonderful team of women serving with me who are excited to come together to share Jesus with other women! Tanya has experienced several challenges and spiritual battles since we signed a contract with a jail in S. Florida for a dedicated LUV unit for women. We expect this battle as God increased our territory in the jail with more women experiencing healing and freedom and He has plans for us to set more women free spiritually and emotionally as Tanya leads them to freedom in His word. Pray that Tanya will keep her eyes on the goal and the women she is their to serve and not be distracted by the Sanballot type opposition. Pray she will be strengthened with spiritual wisdom and discernment, and the mouth of the enemy will be stopped. Praise God for the support of a godly sheriff and other jail leadership. Thank you for your prayer covering! We trust in God’s power. We are weak but He is strong. We seek only His glory in touching the lives of all these women!! Warm love and thank you!